The heart-wrenching yet hopeful ballad “Sa Mga Bituin Na Lang Ibubulong,” composed by Kyle Raphael Borbon of Davao, bagged the Himig Handog 2018 Best Song in the freshly concluded ABS-CBN songwriting competition. 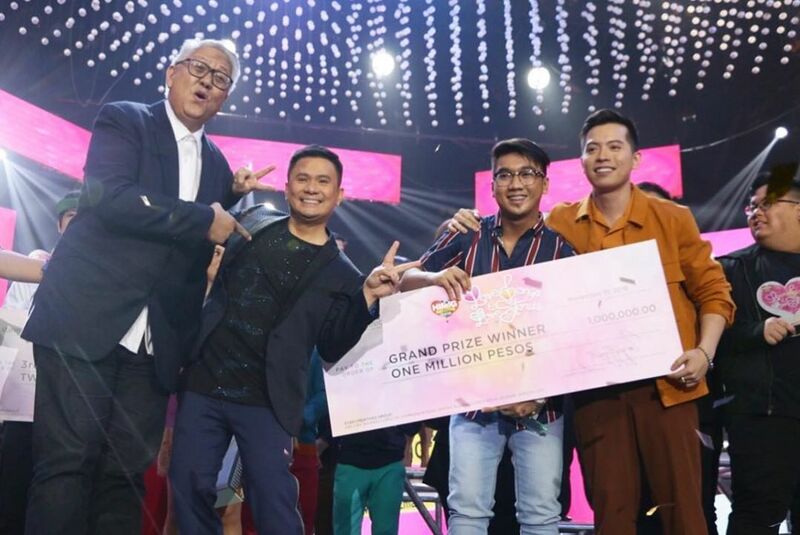 The love song, interpreted by JM de Guzman and performed onstage by Jason Dy at the grand finals held on “ASAP” last Sunday, emerged as the winning entry out of over 5,000 submitted songs, and won the highly coveted P1 million cash prize. Kyle said that it was his first time to join any kind of competition. “I started posting YouTube covers two years ago and last year, I started writing songs and I posted some and it got views. It gave me confidence to join this kind of competition,” shared the songwriter who wrote “Sa Mga Bituin Na Lang Ibubulong” based on personal experience. “Wakasan,” interpreted by Agsunta band and composed by Philip Arvin Jarilla, earned the 2ndBest Song title and won P500,000 cash prize. 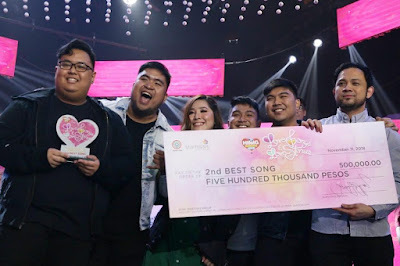 John Michael Edixon’s “Kababata,” meanwhile, nabbed the 3rd Best Song award. It was performed by the composer himself—rapper Kritiko— together with his dream collaboration partner, R & B royalty Kyla. 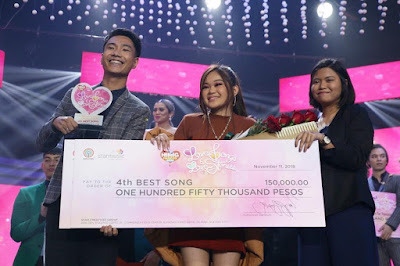 “Mas Mabuti Pa,” written by Mhonver Lopez and Joanna Concepcion and interpreted by “Tawag Ng Tanghalan” grand champion Janine Berdin, is this year’s Himig Handog 4th Best Song. 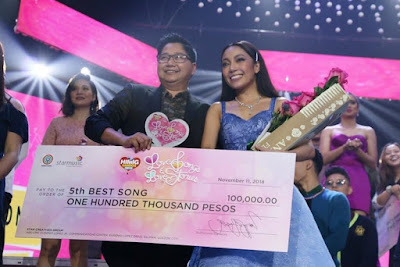 Sarah Jane Gandia, a US-based nurse, was elated that her entry “Tinatapos Ko Na” was hailed as the 5th Best Song. She said she felt she won already when her dream interpreter, Jona, sang her song. 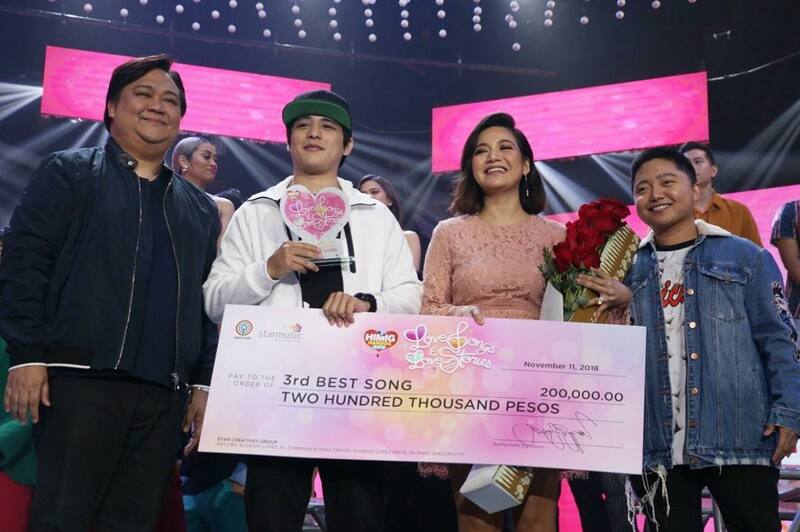 Star Music Listeners Choice went to “Mas Mabuti Pa,” while the Best Produced Track award went to “Tinatapos Ko Na” produced by Jimmy Antiporda. Sam Mangubat, who interpreted the song “Wala Kang Alam,” was hailed as One Music PH Choice for Favorite Interpreter. The entry was composed by Martin John Arellano and Mel Magno. The winning song “Sa Mga Bituin Na Lang Ibubulong” and the rest of the song finalists are available for download in online music stores. Watch the Himig Handog 2018 music videos on ABS-CBN Star Music’s YouTube channel. For more details, visit Himig Handog on Facebook @HimigHandog2018. Don’t forget to follow Star Music’s social media accounts on Facebook, Instagram, and Twitter @starmusicph.